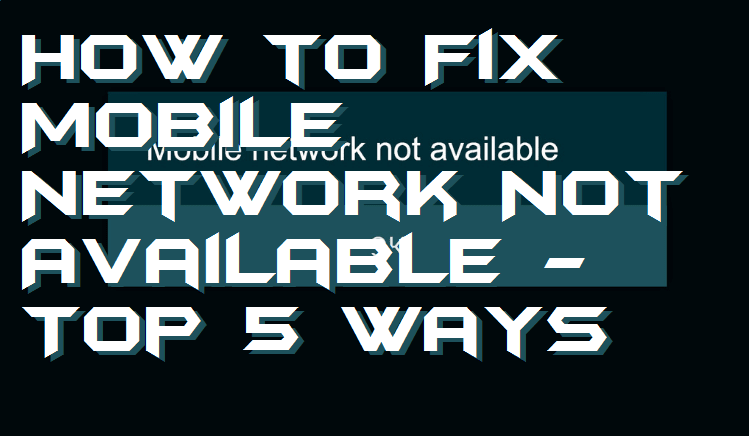 Hello friends, Today I will share 5 methods to check how to fix mobile network not available. You can fix this network error on all Android phone. Users can start a network connection again on their Smartphone. This method will work on every Samsung, Motorola, or any other Android Phone. The network errors are the most common error which we can find on Android. When we see that our Android phone has lost the connectivity totally and is unable to fetch the signal we feel frustrated. Obviously, it takes too long to get back to the normal stage. So, what will you do if your Android phone shows you an error message of “mobile network not available”? Definitely, you feel irritated and will get stuck into that situation. But, don’t panic. There are some fortunate ways by which one can solve this common error from his or her Android smartphone. Make sure you check your internet connection. This website is best to check the network connection or internet speed of your Smartphone or PC. Users can check whether their internet is working or not. Just visit the site Speed Check and click on start. It will start searching your internet connection and will even show the speed of your connection. So you can decide whether you really have internet or not. If you are getting the mobile network not available error message. Then, it may be possible that your phone is having some problem with the IMEI number. That IMEI number may be incorrect or nulled. But, that’s another thing, beyond it we have some methods to solve our problem and access the network back again. 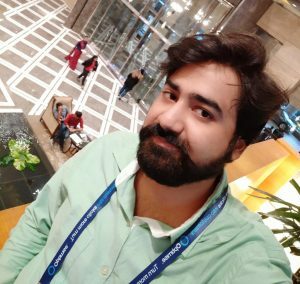 I have explained the top five different methods to solve the mobile network not available issue from an Android phone. You can try them one by one to fix this standard error. If you are facing, unfortunately, Google Play has stopped then do read this article. This is the very first thing which you should try before following others. Basically, sometimes it happens that the chip of the SIM got damaged and that’s why the ‘mobile network not available‘ message appears on your phone. So, what you have to do is that eject your SIM from that Android phone. Now, insert it to another Android phone. You can ask for your friends, relative, or colleagues to provide you with their phone for a few seconds. Check if the SIM’s chip is damaged or not. If damaged then take it to the network operator’s service center. It may be possible that you have given your phone to a child or any other person who messed with the network operator settings. However, it is very rare that someone can mess with it but, who knows when an accident can happen. So, to fix the mobile network not available issue, you need to do a little bit of work. Just go to the Settings then click on Wireless and Network. Now, tap on More and select Mobile Network option. You will be able to find the Network Operator option. Try to select it to be automatic and manual both one by one to gain the network on your phone. The Engineering Mode is a secret menu on the Android phone. This engineering mode is used to control the network and wireless option secretly without visiting the settings of the phone. There is a secret code which a user has to dial using the dialer app on the Android phone such that the engineering mode will be opened. I have explained the step by step guide to fix the mobile network not available error using the engineering mode on Android phone. Dial *#*#4636#*#* from the dialer app on your phone. Then, the testing menu will appear. Click Phone Information <Your SIM Slot Number>. Now, click the Run ping test. Then, select GSM Auto (PRL) option from the dropdown list. Lastly, click Turn off the radio. That’s it. Reboot your device to save changes. Sometimes what happens is that some minor bugs become large. This causes many issues on our phone. The mobile network not available is also a kind of problem which is found to be arises by some vulnerabilities. Because a lot of peoples do not update their phone’s software that is why these bugs get spread in a large area on our phone. So, to fix the bugs, we need to update our phone software as soon as possible. You can do so by following this path: Settings > About Device > Software Update > Check for Update. Formatting a device to restore the settings is the best way to fix everything from its root. But, this causes a loss in data. However, there are many apps available which can take backup of your data and then you can perform a factory reset. Maybe this will solve your issue. But, I will suggest you do this when you are done by trying every method from above. You can follow the navigation to factory reset your phone, Settings > Backup and Reset > Factory Data Reset. We have seen the top five best ways to sort out the mobile network not available error from an Android phone. There may be some more ways to fix mobile network not available. But, these methods are found working very well on almost every Android phones. Similar to that if you are facing not registered on SIM issue then you can also fix it. I am probably sure that you have now solved the mobile network not available issue using this article. Make sure you share this article with other people also who are having the same problem similar to you.